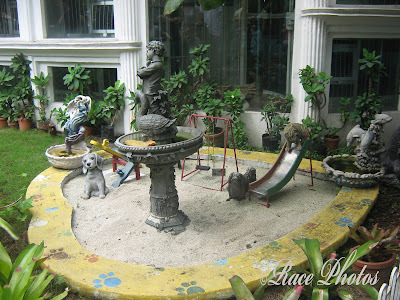 See the dogs here playing in their playground, looks cute but it's actually a stone playground of dog statues. 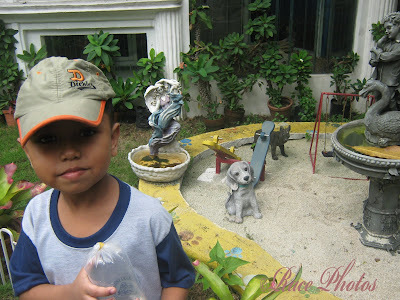 This is part of Josh educational tour in BioResearch in minizoo. Josh find them nice and petite! I particularly like the slides and swing, so cutie! He even tried to get near and touch if the dogs are really stones. What do you think? See my other entry => Fountains!